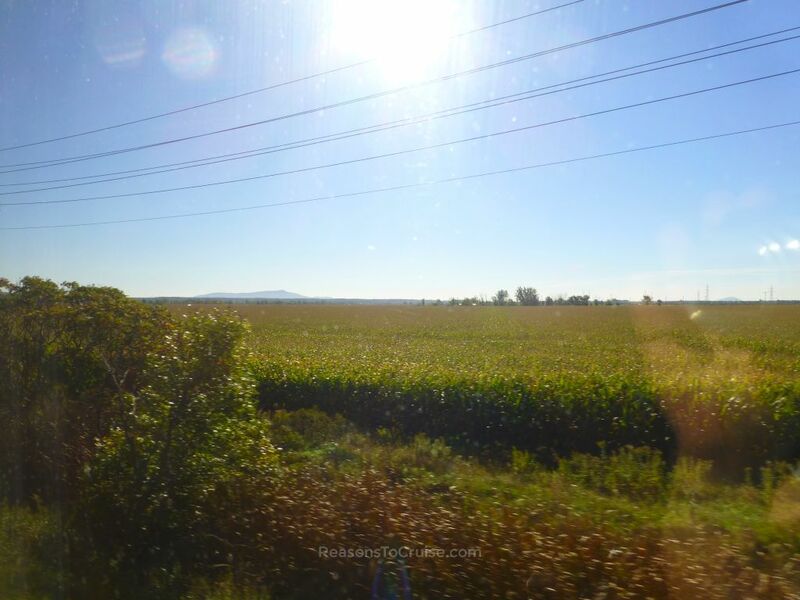 My whistle-stop tour of Canada involved a jaunt between Montréal and Québec. 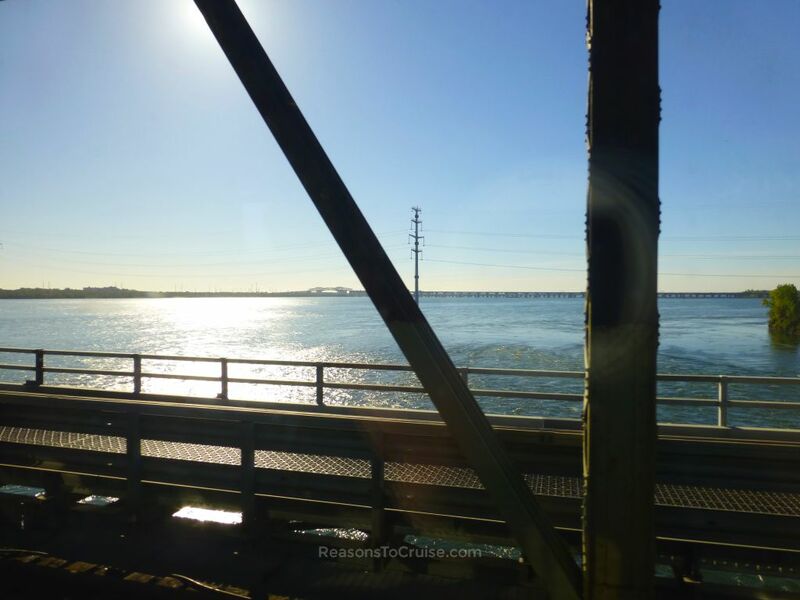 The options open to me were to fly or to take the train as I refused to drive the 160-mile, three-hour journey. As I needed return transport, I opted for both. 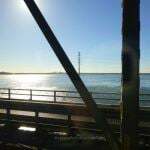 I took the VIA Rail Canada train service from Montréal to Québec, and then Air Canada's Jazz flight back to Montréal–Pierre Elliott Trudeau International Airport from Québec City Jean Lesage International Airport. Which is better - the train or the plane? The three-and-a-half-hour train journey sounds long compared to the one-hour flight, but considering the extra time needed to check-in, clear airport security, and collect luggage at the other end, both options are similar in overall time. And then there's the locations to consider too. 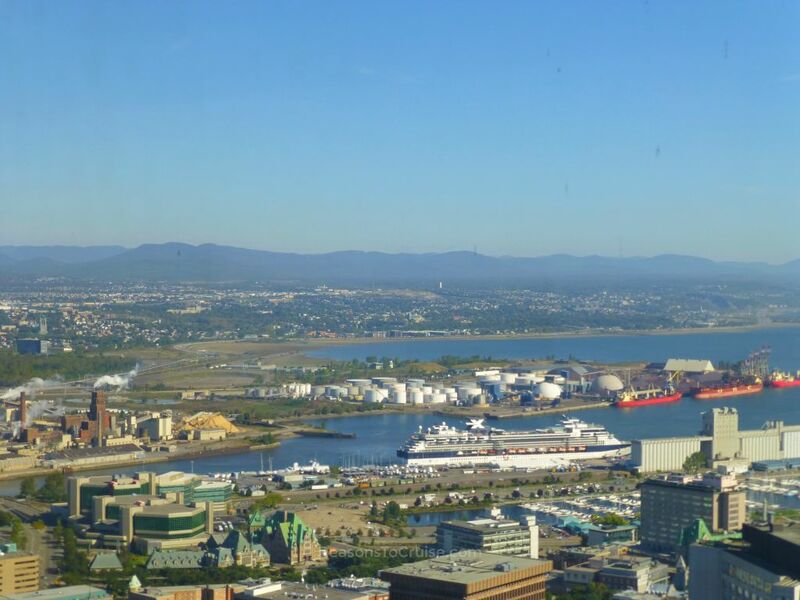 Both Montréal and Québec City airports are around 10 miles away from the city centres, while the grand Gare du Palais in Québec is a mere half mile away from the action, and Montréal's Gare Centrale is in the heart of Downtown. I took a taxi from my hotel, the InterContinental Montréal on Rue Saint Antoine Ouest, to Gare Centrale although admittedly I could have walked it. The undercover drop-off point at this unassuming building leads straight into a vast hall. The station forms part of Montréal's Underground City so a network of paths lead outwards. A maze of food stalls cater for travellers and locals with a myriad of choices. I checked-in my suitcase at a kiosk tucked off the main hall, and collected a receipt. As a Business Class passenger I had access to the Business class lounge at the station, but opted to look around the hall instead of sitting on comfy-looking chairs sipping a complimentary cup of tea. I took advantage of Business Class priority boarding and after an agent scanned my ticket, I headed downwards on an escalator to the platform. After a brisk walk along the lengthy train to the Business Class carriage, I boarded and took my seat. 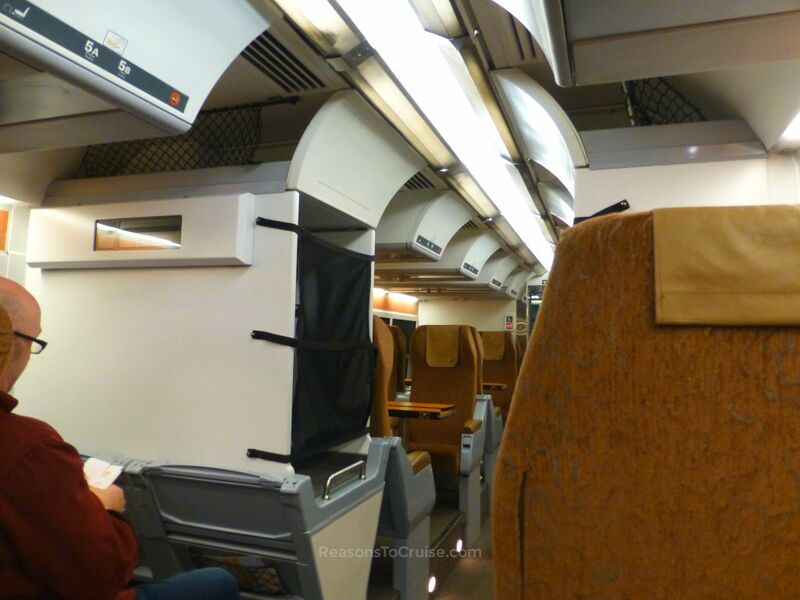 Standard class carriages are largely similar to what you find here in the UK. Seats are mostly airline-style configured with two seats separated by a walkway followed by another two seats. Pockets of forward and rear facing seats looked ideal for families wanting to face each other. Snacks and drinks are available to purchase. Both Standard Class and Business Class carriages come with power sockets, ideal for powering a laptop or tablet, and free WiFi Internet access. Business class carriages offer more space, and are a mix of table seating, rows of two seats, and rows of single seats, where I sat. Seats are allocated and printed on the ticket. Beside the more spacious seating, and access to the in-station Business class lounge, the carriage benefits from a host who serves complimentary at-seat dining and beverage options. Business class also comes with greater luggage allowance - two suitcases rather than one in Standard Class, in addition to one piece of hand luggage. The colour scheme is not to my taste but I cannot fault the space nor service. There is plenty of legroom and a fold-away airline-style tray table to provide workspace. A single seat is ideal for solo travellers like myself and removes the inevitable tussle with a fellow passenger over who has the rights over the middle armrest! Overhead storage cabins happily gobbles up luggage although my checked-in suitcase followed others into the luggage carriage at the front of the train. I regularly spend up to four hours on trains on whistle-stop trips around the UK to tour cruise ships, so a three-and-a-half-hour journey does not phase me. But I was really looking forward to this one. The map promised plenty of scenic travel along some of Canada's prettiest stretches. Departing Montréal is much like leaving London Paddington - an urban area with graffiti lining walls next to the tracks. But a short distance onwards, buildings made way for spectacular countryside and waterway views. The carriage was quiet, pierced only by the train horn hooting as it approached railroad crossings. Travelling at a brisk pace, the train maintained its timetable, calling mainly at small rural stations along the way. A complimentary continental breakfast was served mid-way, consisting of a fresh, warm, and crispy croissant, fresh fruit, and a hot drink. My host served drinks throughout the journey. Arriving into Québec City, the train pulled up and passengers disembarked. Staff unloaded luggage from the front of the train, and lined up the suitcases on the platform. From here I made my way into the station where my driver was waiting to take me the short journey to my hotel. As I did not want to keep him waiting, I did not have a chance to properly tour Gare du Palais. Looking back from the car, the building is a beautiful piece of architecture, much like the copious examples in Québec City. Take it from me, this is one train station you really want to explore. Gare du Palais is just over half a mile from Fairmont Le Château Frontenac, and if you have nowhere to be in a hurry, I recommend walking to the hotel if your luggage allows. The best way to see Québec City is on foot to fully appreciate the architectural beauty of this city. 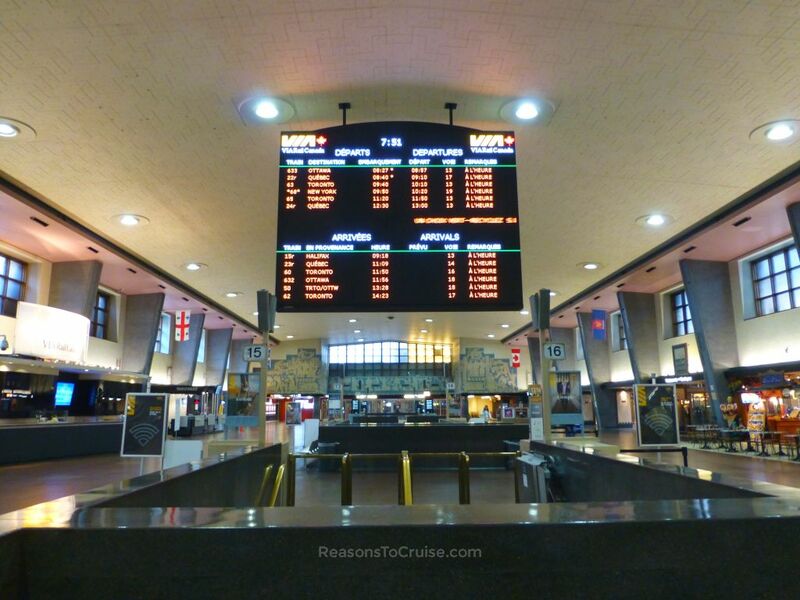 Montréal's Gare Centrale has a lounge for Business Class passengers with comfortable seating and drinks available. Priority boarding means there's little need to spend a lot of time in the station prior to the journey. Checked-in luggage means I did not need to lug my heavy suitcase on and off the train. Complimentary drinks and a light breakfast are included in the fare, so there is no need to spend any money aboard the train. A variety of seating options in the Business Class carriage accommodates a wide range of passengers. Four seats set around a table suits families or colleagues planning to work on the train. Two adjoining seats suit couples, while single seats are perfect for solo travellers. 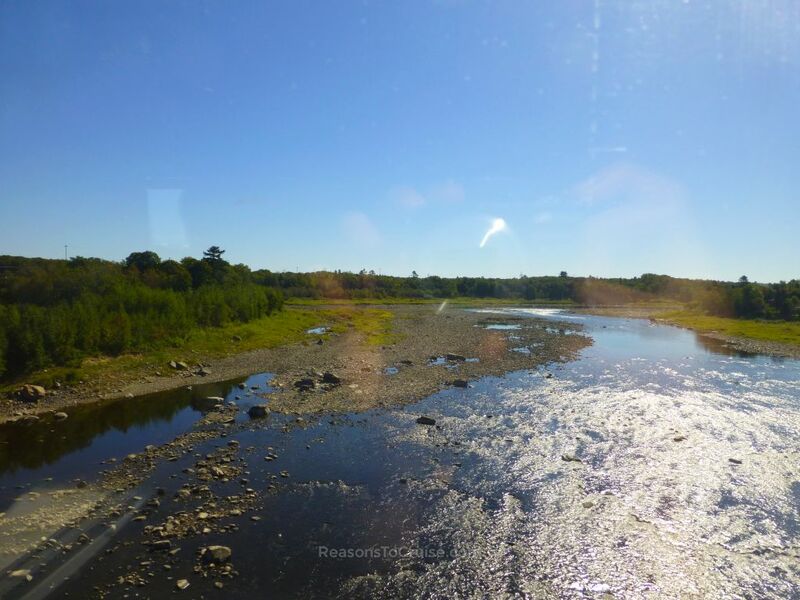 The journey between Montréal and Québec City is beautiful, with rolling countryside and waterway views along the way. The three-and-a-half-hour train journey meant if I wanted to, I could have been nose-deep in a laptop, drafting my next blog posts. If you want to get some work done while on holiday, the train is a great option for a more productive journey. Montréal's Gare Centrale is in the heart of Downtown and Québec City's Gare du Palais is just a short walk away from the action. This means there is little additional time spent getting to and from the stations to the city centres compared to getting to and from the airports. The dated colours and fabrics in the Business Class carriage could be better improved with a modern colour scheme and leather seating. USB sockets would remove the need to use a mains plug and a travel adapter to power gadgets. Faced with a three-and-a-half-hour train journey, the one-hour flight between Montréal and Québec City sounds far more appealing. I tagged two 10-minute taxi journeys onto my three-and-a-half-hour-train journey, and spent around 15 minutes or so in Montréal's Gare Centrale ahead of my trip. So from my Montréal hotel to my Québec City B&B, the entire journey took 4 hours and 5 minutes. To fly, I would have spent 50 minutes in taxis, two hours in airports, and an hour on a plane, totalling 3 hours and 50 minutes. So arguably, the plane is indeed faster but only by around 15 minutes based on my journey. Based on an early morning journey on a weekday, a single Escape Economy ticket from Montréal to Québec City costs upwards of around C$40 (&thickapprox; £24). This is the no-frills rate. For more space, more comfort, and an inclusive meal and drinks, a Business Class ticket will cost upwards of C$125 (&thickapprox; £73). Rates are based on supply and demand, so expect to pay a premium for peak services. By contrast, a one-way flight from Montréal–Pierre Elliott Trudeau International Airport (YUL) to Québec City Jean Lesage International Airport (YQB) with Air Canada will cost upwards of C$219 (&thickapprox; £127) in Economy including a pre-booked seat and one piece of hold luggage. Again, rates are based on supply and demand, so expect to pay a premium for peak services, premium seats, and additional luggage. Flying is certainly a more stressful experience, especially as my tour guide got me to Québec airport mere minutes before check-in closed, and the plane developed a fault on the runway which delayed it, meaning I nearly missed my connecting flight back to London Heathrow. By contrast, the train journey was easy and effortless. 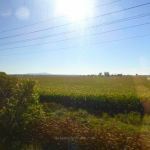 If you plan to work during the journey, the time on the train may is a far better environment for productivity. Where a connecting journey follows, taking the plane makes far more sense, especially if the following journey is a flight. But if you have no time pressure, take the leisurely train instead. 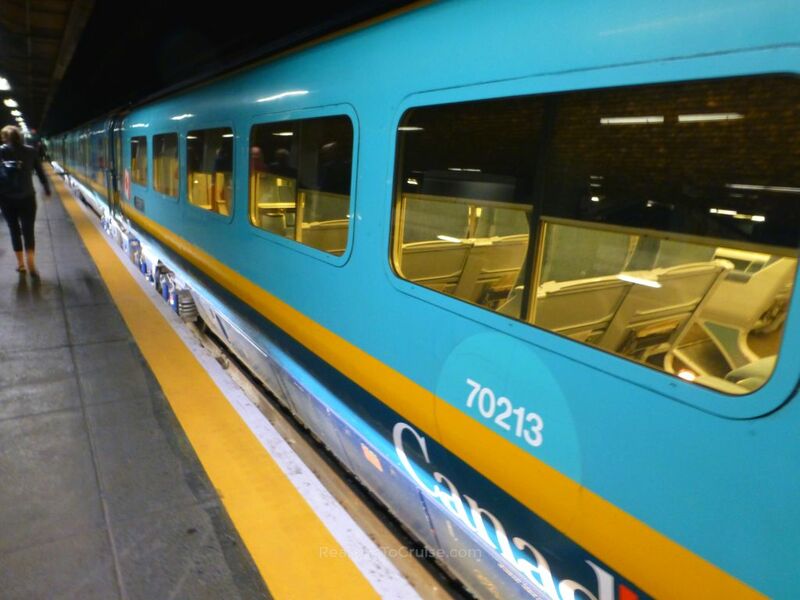 The journey is gentle, and the VIA Rail Canada experience is relaxing and comfortable in Business Class. 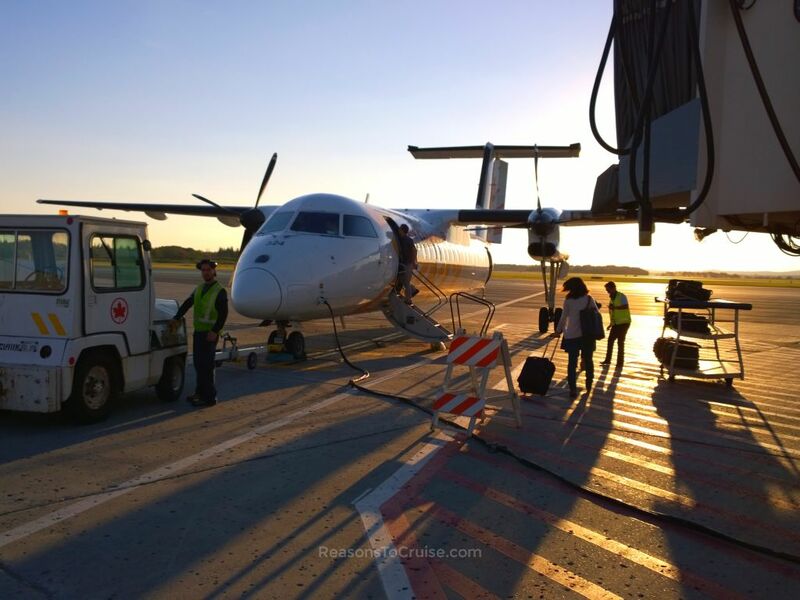 Would you prefer to fly from Montréal to Québec City or would you prefer the relaxed alternative on a VIA Rail Canada service between the two cities? Let me know in the comments below. Disclosure: Montréal and Québec tourist boards supplied my train travel and transfers. The opinions in this article are my own. 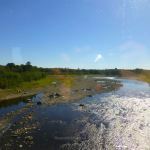 The train journey was beautiful and a great way to travel from Montréal to Québec City. The carriage was spacious and comfortable, if dated. Breakfast was basic but delicious, and the Business Class host was friendly.